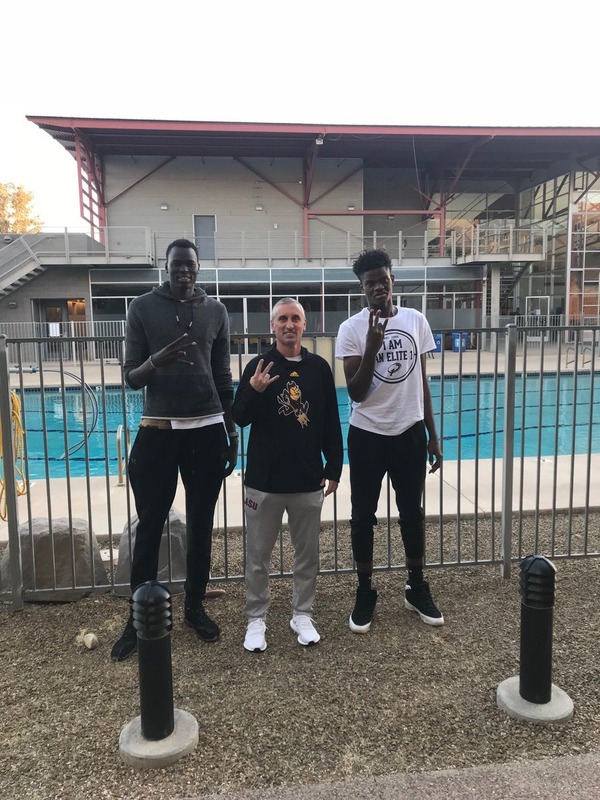 On Wednesday, Arizona State coach Bobby Hurley and his staff made scholarship offers to AZ Compass Prep stars Chol Marial and Sadraque Nganga when they visited campus. The 7-foot-2 Marial is in the Class of 2019 and hopes to be healthy enough to debut later this month at the Tarkanian Classic in Las Vegas, as Adam Zagoria wrote here on Forbes.com. According to 247Sports, Marial is ranked No. 55 nationally and is the No. 15 center. Nganga is an athletic, versatile 6-foot-9 forward in the Class of 2022 who continues to develop his game. He is beginning to rack up national attention as he continues to work on his craft.